Summer is finally upon us. So far, it’s been a mix of gorgeous sunny days and cold rainy ones. I anticipate that this is what our summer will look like. I started thinking about things to keep my kids busy and to get them to stop watching tv. This may prove to be a challenge seeing my husband is leaving for Africa for a month to attend his sister’s wedding but I figure that if I’m prepared, it should be okay (famous last words – LOL). 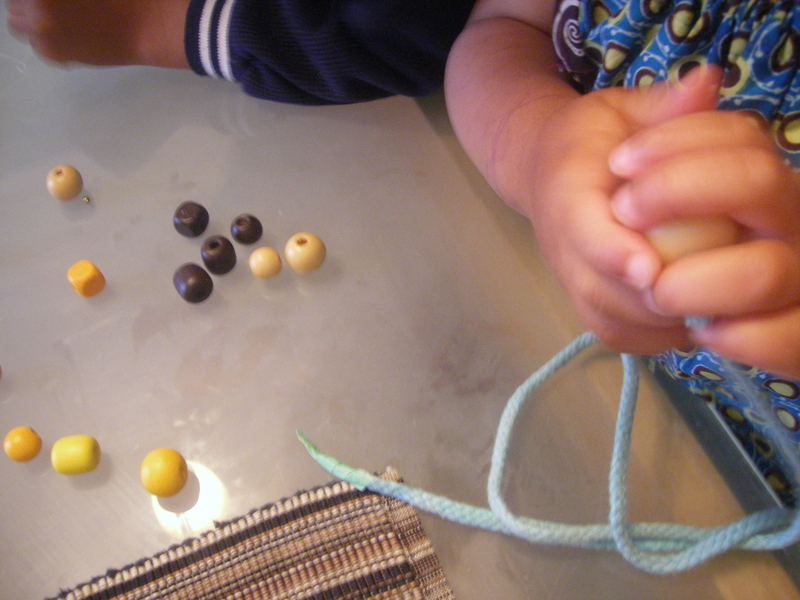 So what do you do to keep your kids busy on rainy days? My son was looking for something to do this evening. He had watched more than enough TV and I sure didn’t want him to get started on the computer. 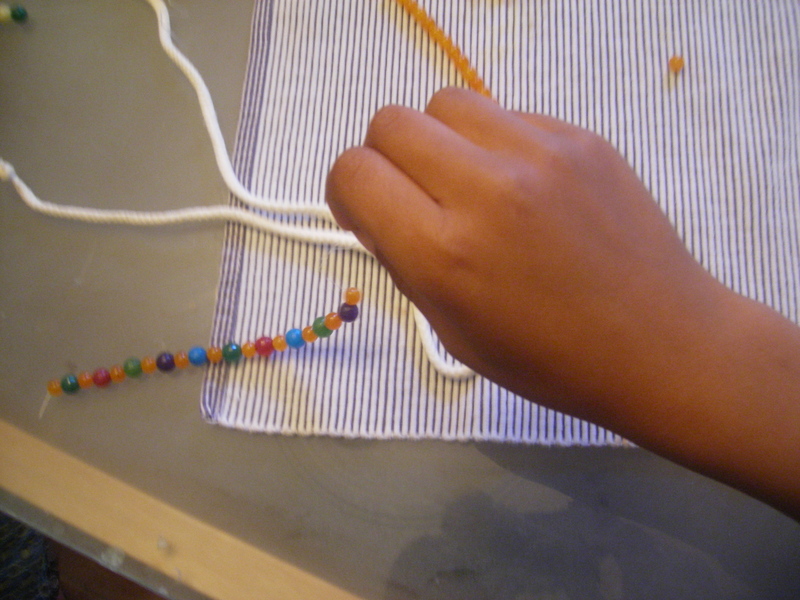 He felt like doing a craft. Seeing as it is a weekday, I didn’t want to get into something messy/complicated, etc. 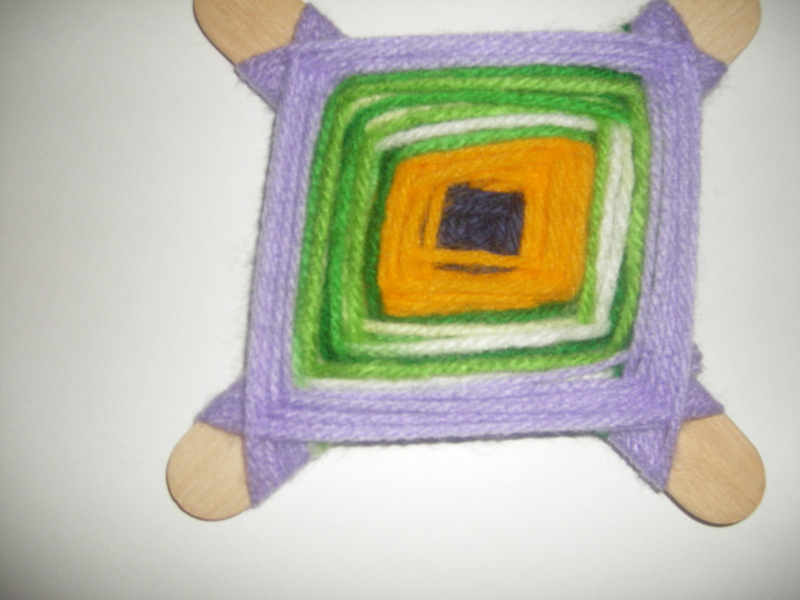 I knew he had popsicle sticks and I have tons and tons of yarn…So we went “retro” and decided to make God’s Eyes. Boy, was it ever fun! 😀 I hadn’t done this in years, but it came back to me very quickly. 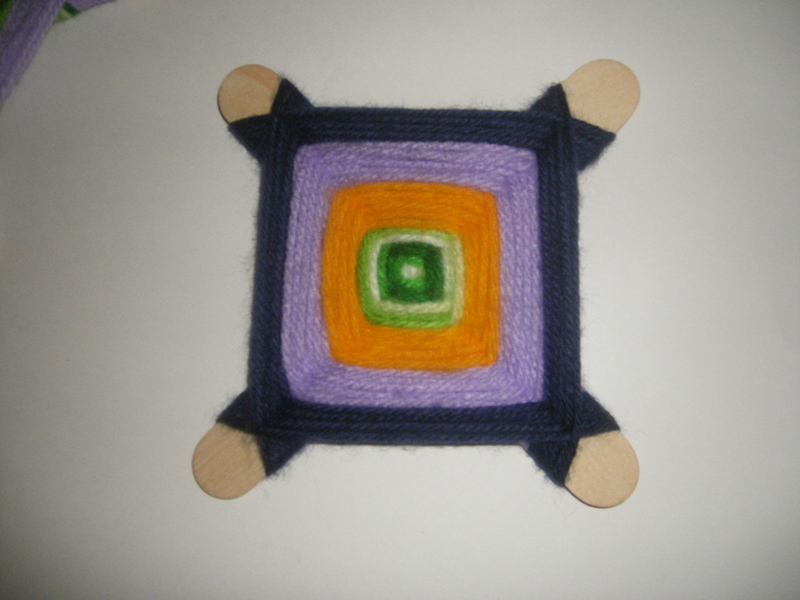 Here’s a quick tutorial: put two popsicle sticks into a cross shape, then tie your yarn around the cross. 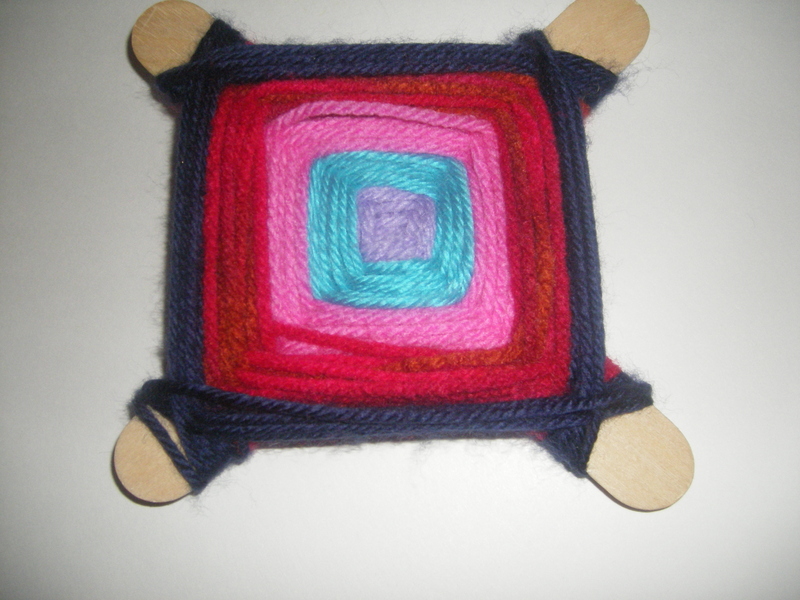 Twist your yarn around in an X. 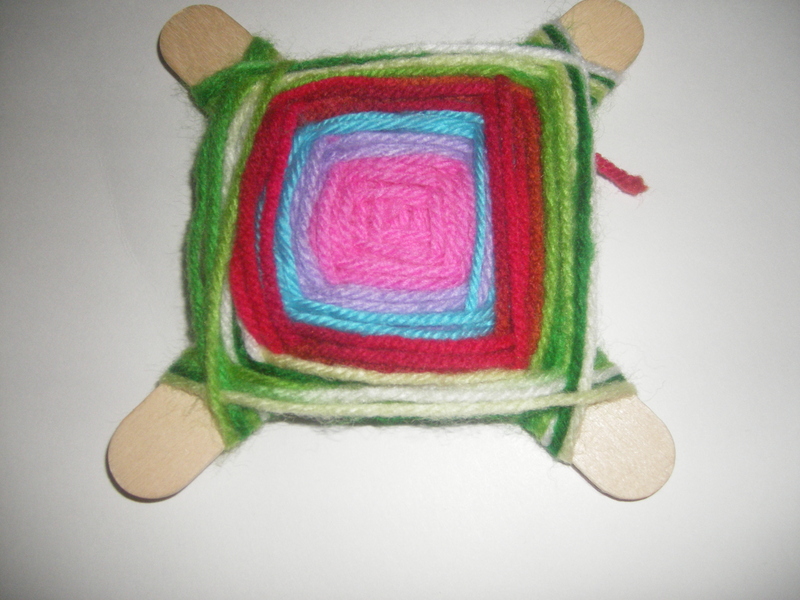 To switch yarn colours, I just cut one colour and tied the new yarn to old one and place the knot behind the sticks. 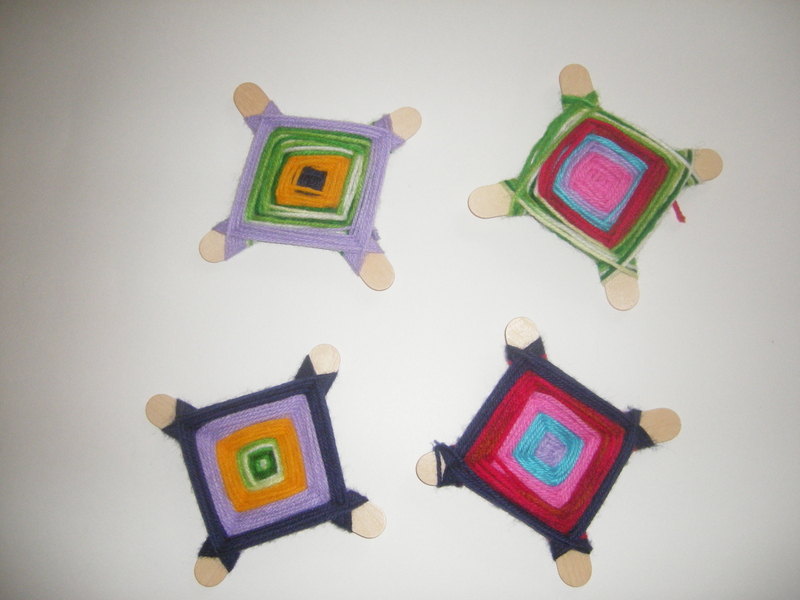 I prefer to start with lighter colours in the middle and darker colours around the edges. It’s my mother’s birthday today. My son was hemming and hawing all week about whatwas an appropriate gift for his grandmother. We decided to make her a bracelet. 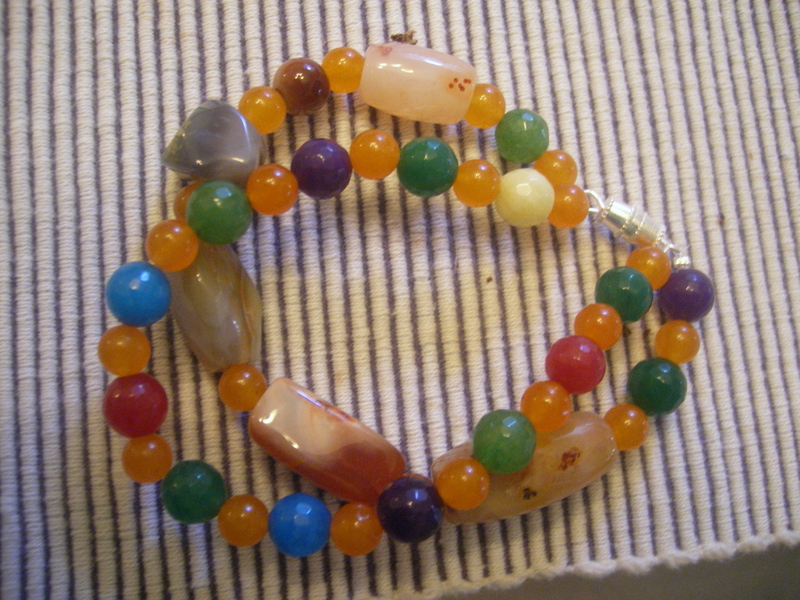 I rummaged through my supplies to find a pair of pliers to use with the crimp beads, and ended up finding some beads that had come from jewerly that had belonged to my maternal grandmother. I pulled them out for my son and another project I was working on and he ended up using them in his project. 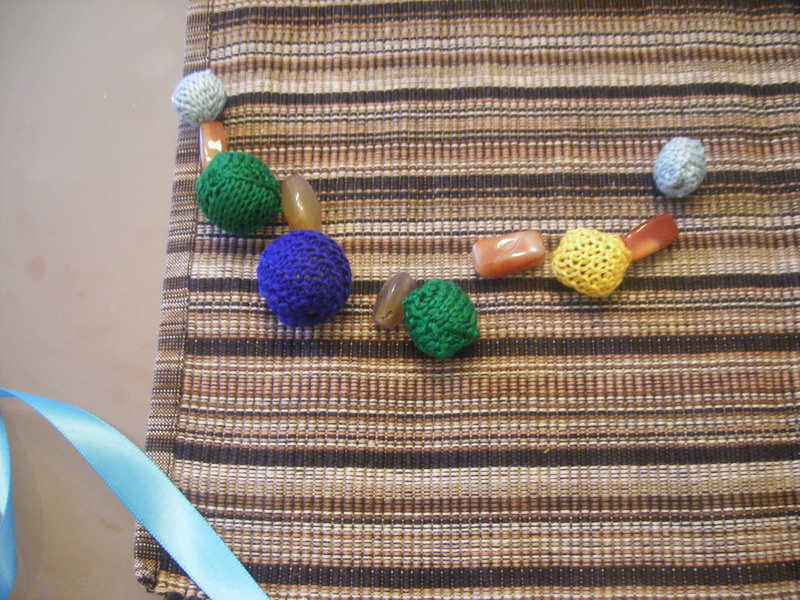 My daughter joined in the fun and played around with the wooden beads I was using for my project.